On North 2nd Street, between Fairmount and Spring Garden, Same Same sits in kind of a no-man’s land. It’s just out of reach of the usual bustle of No Libs, and nowhere close to the Old City/South Philly allure of 2nd. The No Libs sprawl is starting to catch up to the spot—which wasn’t so a few years ago when excellent restaurant Koo Zee Doo had to leave the space. We were sad about that departure—that is, until Same Same moved in. The décor inside is sparse to say the least. The front room, like its predecessors, has the open kitchen and counter, but just a few small tables along the wall and the front window. The space outside in the back is excellent, and would be well worth checking out in temperate weather. Or, if you want the authentic Saigon street food experience, go when it’s nice and humid out. Of the food we’ve ordered so far, nothing has disappointed. Everything has layers of flavor, and each new bite brings you something else to savor. The menu is easy to navigate, with a handful of appetizers and a salad, and then three categories (lettuce wraps, rice noodles, or bahn mi) that you can pick your protein for (or choose a five-spice mushroom for a vegan option). If you’re not sure about checking out yet another Asian place in Philly, just check out Chef Chad Kubanoff’s impressive resume: after high school, he worked at Daniel in NYC. Then, he moved to Chicago and worked at Alinea. If that wasn’t enough, he spent three years as a head chef in Ho Chi Minh City before starting Back of the Bike Tours in Vietnam. If you’re not convinced to eat this guy’s Vietnamese food after that, you’ll never be. 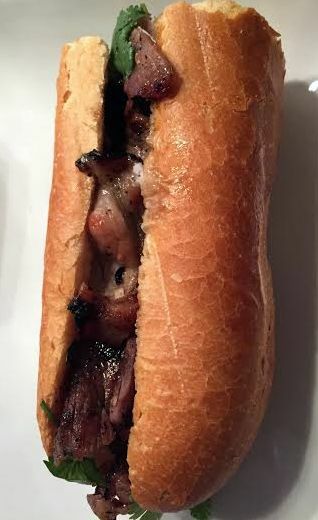 Bahn Mi: The caramelized pork version is what you would get if you thought of “typical” bahn mi. I’ve been trying the sandwiches as much as I can around town, and I have to say, this is easily the best I’ve had so far. The pickled vegetables provide a nice counterpoint to the pork, the herbs are fresh, and the mayo—oh, the mayo!—is a perfect umami bomb to tie it all together. I would buy a jar and put it on everything if I could. 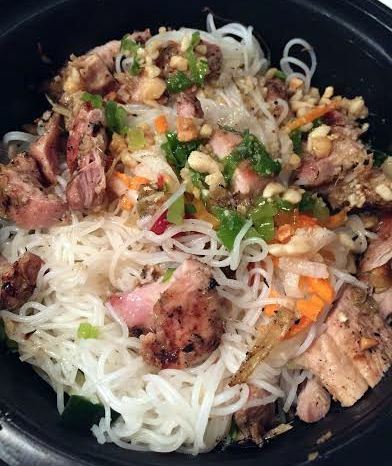 Bun (Rice Noodle): The rice noodle pile comes with a protein of your choice (we went with the grilled chicken thighs and weren’t disappointed), as well as bean sprouts, cucumbers, lettuce, herbs, pickled veggies, fresh chili, scallions, peanuts, and a funky and salty but subtle fish sauce dressing. The chilis provide a nice bit of heat, but nothing off-putting. Mon Cuon (Lettuce Wraps): Designed to be made at your table, the lettuce leaves once again allow you to pick your own protein (the pork sausage worked perfectly for us), and comes with rice noodles, herbs, mustard leaf, pickled veg, and more fish sauce dressing. The lettuce was solid and made for a good wrap—not the flimsy, full-of-holes lettuce you find some places. And while it may sound very similar to the rice noodle dish, there is enough difference in the details to make the dish a completely different experience. Cha Gio Heo (Pork and Taro Spring Rolls): These little packets of pure flavor pack enough taste that you don’t even need the fish sauce to dip it in (though it doesn’t hurt). These should be automatically added to every order, because they’ll be a great start (or finish, or middle) to every meal. 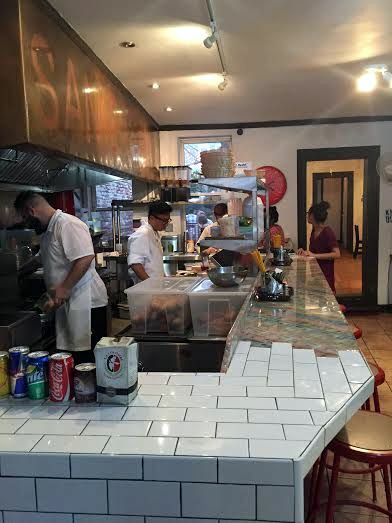 This entry was posted on July 22, 2015 by Ryan in Asian food, Review and tagged bahn mi, review, same same, street food, vietnam, vietnamese.